I’ve been working with this bit of text quite a bit. 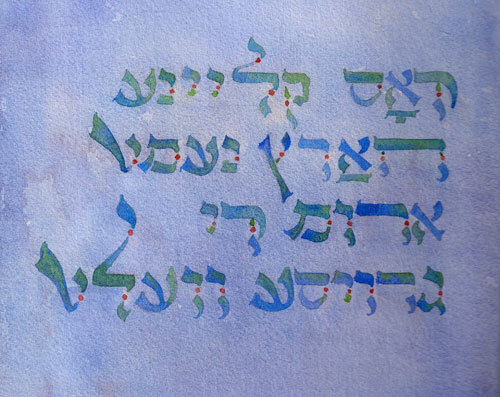 The letters are Hebrew, but the words are Yiddish. In Yiddish, you would say (please forgive any mistakes in my transliteration): Dos kleine harts nemt arum di groise velt. It means, loosely, small hearts hold the whole world. I think it’s a good thing to post on this first day of Rosh Hashanah. In case you don’t know, that’s the high Jewish holiday when the gates of heaven open and you’ve got ten days to make or break your chance to get into the the book of life for another year. I won’t misrepresent myself here. I am not Jewish; I’m an angry-at-G*d, disenchanted, fallen-by-the-wayside Christian. I don’t attend church, but I do attend High Holy day services with my fiddler. It makes him happy, and, truth be told, it makes me happy. The way I understand the services I attend, we are supposed to come humbly to G*d and repent of all the bad things we’ve done the last year. But not only that; to deserve our inscriptions in the book of life, we are supposed to be nice to others (and the congregation where we attend includes the earth in the recipients to our niceness, something I can get behind wholeheartedly). I honestly don’t know if I believe there’s a Big K*huna in heaven scribbling in a book of life, but I do think the world could use a big dose of niceness about now. I hope that in our small hearts we can cradle the world and help heal it of the anger and hate and meanness that hurts us all. 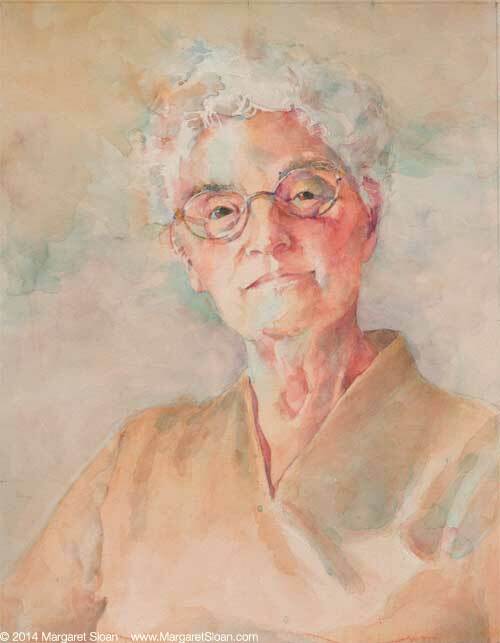 Beautiful watercolor, Maggie—and beautiful sentiments. . .